Size 18 x 28 inches. 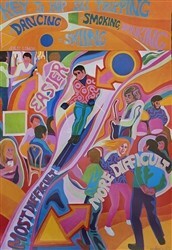 The ski poster of Fred Iselin Ski School, at Aspen Highlands, Colorado is from 1966. The artist is Garth Williams. Fred was one of the early instructors on Aspen Mt. 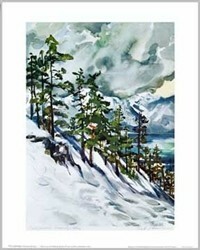 in the 1940’s and later co-directed the Aspen Ski School in the 50’s with Friedl Pfeifer. After that he moved to the Aspen Highlands ski area to run their ski school. He was one of the most colorful of all the Aspen Ski Instructors and one of the first free style skiers. His ski school often taught up to 300 children on Saturdays. 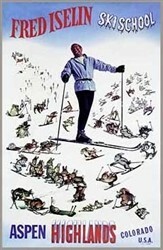 The ski bunnies depict many of the families and children of Aspen. 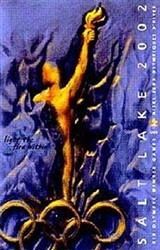 The original Hannes Schneider poster from St. Anton probably inspired the style of this poster. Quality reproduction!